Police Scotland has a “massive shortfall” in its budget, with Brexit set to cause more financial problems for the force. Scottish Police Authority (SPA) papers reveal a £56.2 million gap between the police’s proposed capital spending and the funding from the Scottish Government this year. In the report, due to be discussed at a SPA meeting on Thursday, chief financial officer James Gray warned that “there is insufficient funding in 2019/20 to deliver the business case in full”. “Key elements, including mobility and core-operating solutions, have been prioritised and an extended delivery timeline has been developed for the outstanding projects,” he said. Risks associated with Brexit are also set to cost the force an estimated £17m, with a possible impact on officer numbers in the future. “This budget is being presented at a time of political uncertainty and against the backdrop of a challenging fiscal environment,” Mr Gray wrote. “The additional in-year costs associated with Brexit are assumed to be £17m, representing 400 police officers more than was assumed in the current three-year plan. “If no additional funding is made available, the operating deficit would increase to £41.6m. SPA chief executive Hugh Grover added: “In line with the Chief Constable’s planning assumptions to cover the potential impact of Brexit-related events, officer numbers have not been reduced as previously forecast and an additional 100 officers are being recruited. “This puts a potential £17m of pressure onto the budget and the deficit will increase accordingly unless additional funding is provided. “I have written to the Scottish Government making them aware of the budget pressure and asking for additional funding. 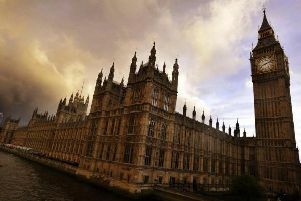 Brexit: How will 'indicative votes' work, and what will MPs consider? Further unexpected costs include changes to GDPR introduced during the police’s three-year plan, which account for £16.9m that has not been covered by the budget, along with a £17.8m shortfall in ‘business as usual’ capital expenditure from areas such as police buildings, cars and computers. Commenting on the SPA report, Scottish Labour’s justice spokesman Daniel Johnson said: “Police put their personal wellbeing on the line every day to keep people safe, they need to be well resourced, equipped and supported to carry out that job. “Instead, Police Scotland is facing a massive funding shortfall in the capital budget. “That translates to police stations, cars and IT infrastructure. A Scottish Government spokesman said: “We are very clear that any costs related to Brexit should not impact on Scotland’s public finances, and should be met by the UK Government in full. It is abundantly clear that Brexit is going to cost Scotland more than the consequentials delivered by Westminster. “While the allocation of resources is for the Chief Constable and SPA to determine, we are protecting the police resource budget in real terms in every year of the current Parliament, delivering a boost of £100m by 2021. Total Scottish Government funding for the SPA in 2019/20 is increasing by £42.3m, bringing the annual policing budget to more than £1.2 billion.